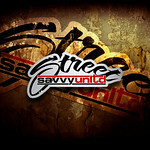 Welcome to the Media Division of Street Savvy Unlimited. Hello. We are providers of media content for radio stations, club venues, festivals, blogs, magazines, etc. We also do photography and video work for any of our clients that need those services. Please visit our Portfolio to see some of our most recent work. Also, don't forget to connect with us through your favorite social media network. P.S. If you have any questions about our work or would like to talk about working together, please don't hesitate to get in touch using the "Contact" link above. As for pricing -- there are so many variables that come into play that we would like to talk to you before quoting prices.